You can be confident that when you have your North York sump pump functioning in top condition that your home will remain safe from the harsh wet weather. This powerful device is the last line of defense against flooding and the serious water damage and mold damage that comes from this emergency situation. 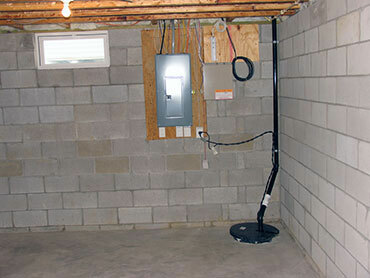 Sump pumps are great because they typically need very little supervision and work non-stop. Though they do need to be checked on and maintained to make sure they are working smoothly when they need to be relied on when there is wet weather, excessive drainage, and a higher water table in the area. Our plumbing professionals are local to the community and in that can react quickly when you are having a major emergency. Your North York sump pump failing during a major storm definitely qualifies as an emergency. Do not risk it because the damage caused is going to be in the thousands. And the emotional stress caused is also tremendous. Run your sump pump multiple times per year, during wet or dry seasons, to ensure it is functioning soundly. Have your sump pump North York maintained by our local plumber yearly who will see to it that all parts are as good as new and that your home will be safe and dry at the worst of times. When you call our local expert plumber you will receive world-class workmanship and service to your North York sump pump. We will ensure that all parts including the basin, pump, impeller, check valve, float arm, float switch, and discharge line are as good as new. You will appreciate our ability to respond fast because we are local and our pricing because it is flat-rate with no hourly rates. So you can feel confident knowing the final cost before we get started. We show up prepared with all of the tools, parts, materials, and supplies required and we do not waste any time. You will be happy with our long-term solution and fair pricing. Any North York sump pump receiving regular maintenance will outlast those that don't receive guaranteed. It's the same for any mechanical device. They will all break down over time but if you take care them with ongoing maintenance like a car gets a tune-up, then it will last for years longer. Our local plumber will make sure that all parts are cleaned including air holes and vent. And remove anything obstruction it such as debris so your pump doesn't overheat, or your check valve or drainage line drain slowly and overflow. We will replace any parts and keep your home protected. 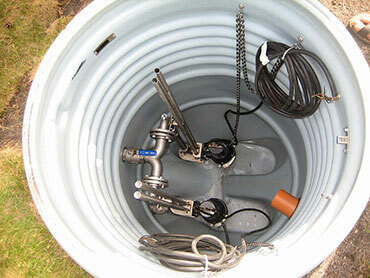 If you have a need for a North York sump pump installation there is nothing we cannot handle. Our local plumbers have vast experience at this. We will dig the pit the right size to hold the pump. Ensure the pump is not placed on dirt or gravel. Make sure the float arm and switch are working well so they turn the pump on at the correct level and push the water out of the discharge line and safely into your storm drain. Do not hesitate to call us for expert sump pump repair, installation, or maintenance 24 hours a day, 7 days a week, and 365 days a year. It will be our pleasure to provide you world-class workmanship and friendly service at a fair price.